The Working Group 10.4 on Dependable Computing and Fault Tolerance (WG10.4) of the International Federation For Information Processing (IFIP) announced today, at it's Summer meeting, that it has elected Professors Yair Amir and Karthik Pattabiraman as its two newest members. Amir is a Professor at Johns Hopkins University where he is Director of the Distributed Systems and Networks lab (DSN) (www.dsn.jhu.edu). His research interests include intrusion tolerant systems, critical infrastructure, clouds, distributed systems, overlay networks, group communication, wireless mesh networks, multicast, distributed algorithms, intrusion tolerance, fault tolerance, and replication. Pattabiraman is an Assistant Professor with the Dept. of Electrical and Computer Engineering, University of British Columbia. 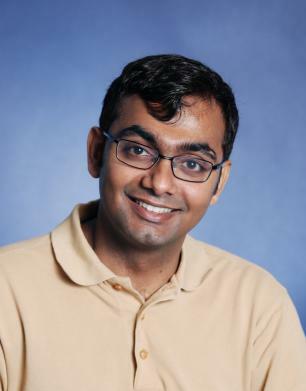 His	research	interests	include	error resilient computer systems, specifically how we can build error resilient software systems through advances in programming languages, compilers and computer architecture. He is also interested in improving web applications’ dependability, and in smart meter security.